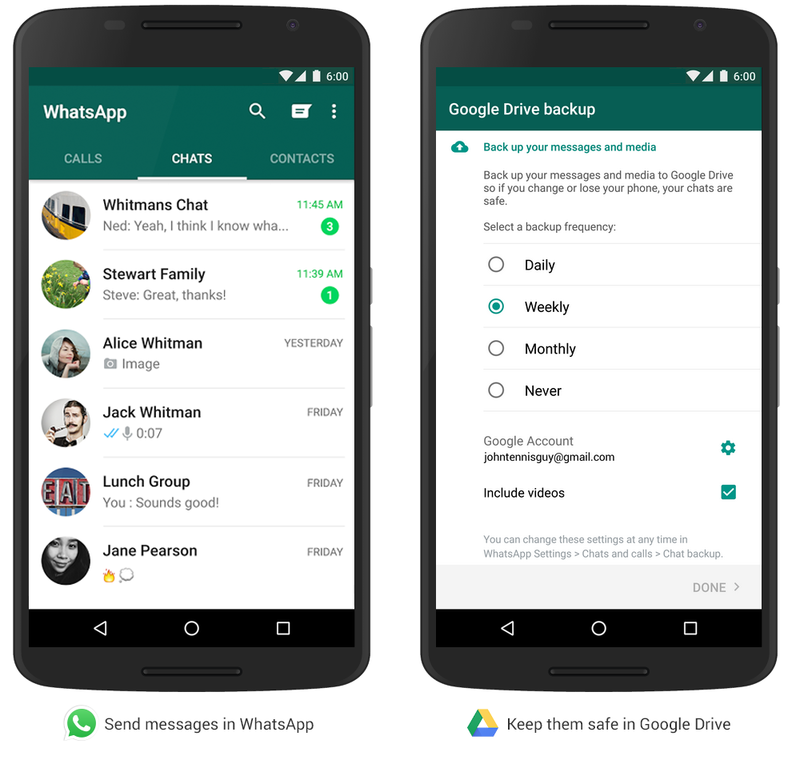 The new backup feature is rolling out over the next few months, so keep an eye on your WhatsApp settings to see if it’s available. In the meantime, please visit our Help Center if you have questions about today’s update. And check out our developer site if you’d like to integrate your app with Google Drive. Whether it’s recounting a story, watching a video, or enjoying photos with family and friends, our memories help us reconnect with what’s really important. And every month, nearly a billion people use WhatsApp to do just that.